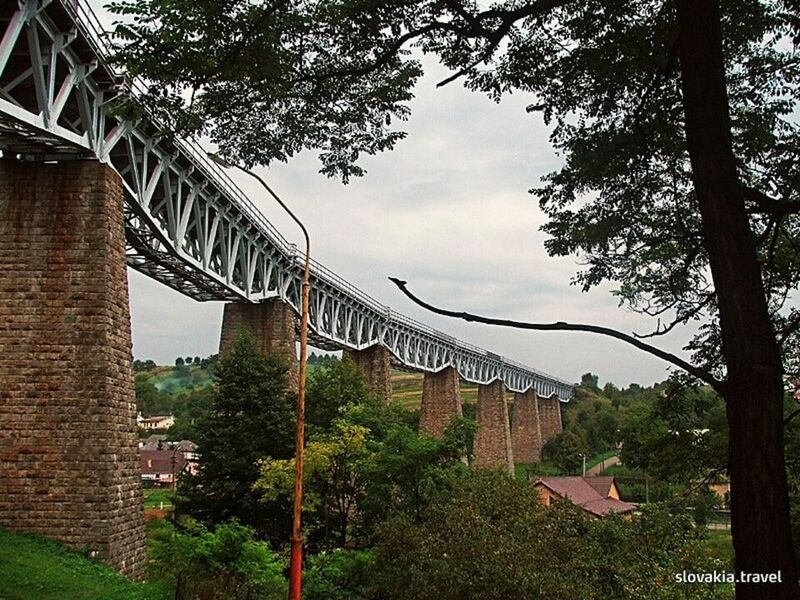 The arched viaduct of Hanušovce is 389.9 metres long. It was built in 1943. Beautiful constructions with a bent lower belt were set on pillars of different height copying the shape of the valley it bridges over. The tallest of pillars is 28 m and its height above the terrain is 40 metres. The viaduct was completely destroyed during the Second World War. But this valuable technical monument was reconstructed and it serves again. Along with several similar bridge constructions it is part of the railway track between Kapušany and Vranov.